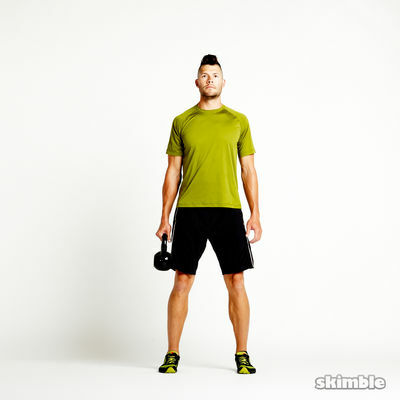 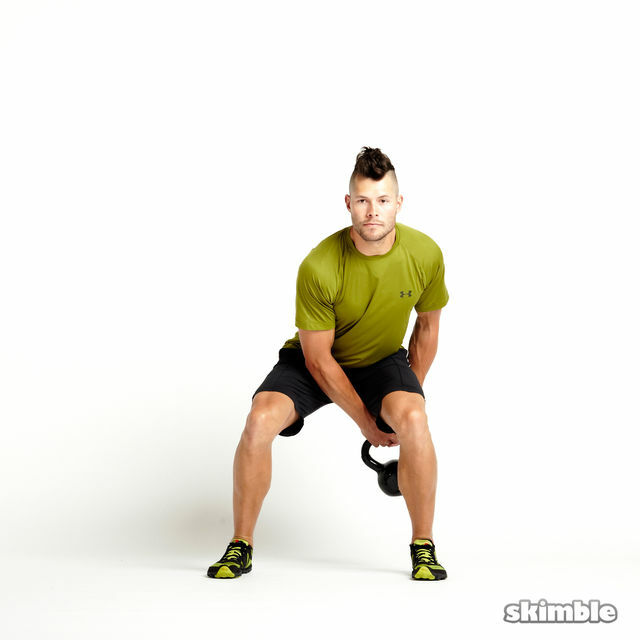 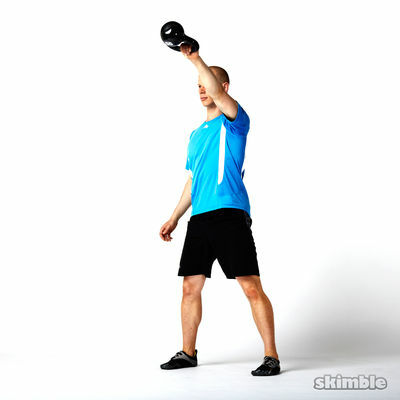 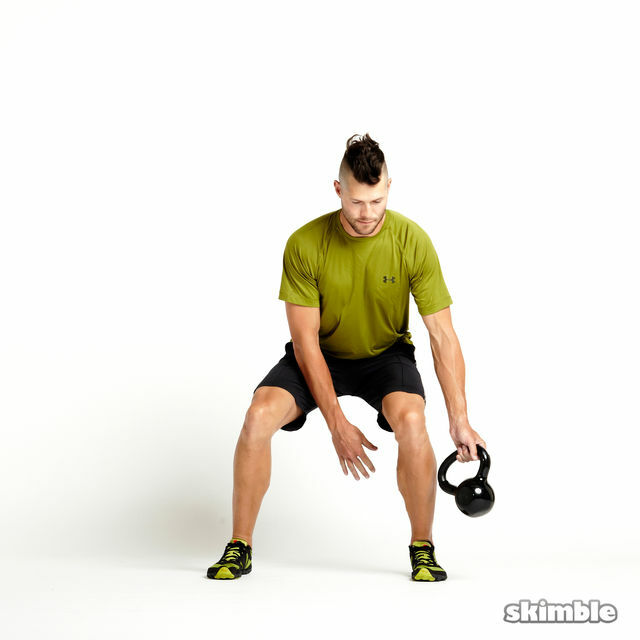 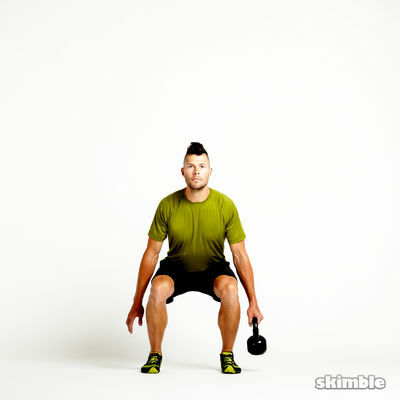 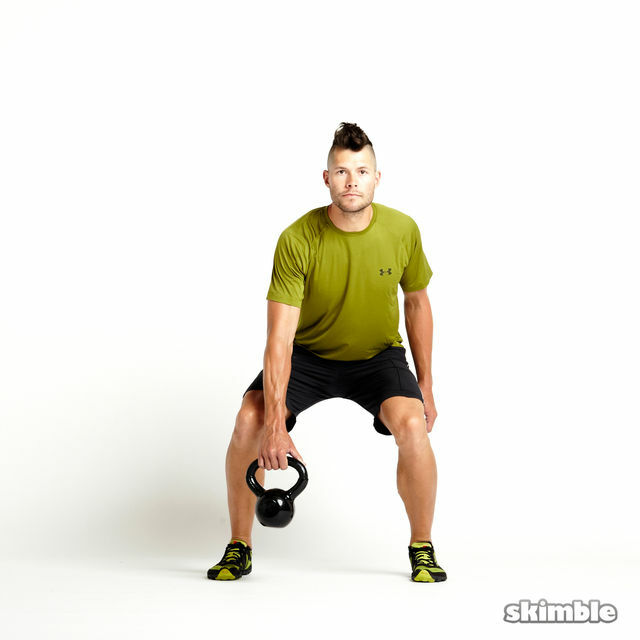 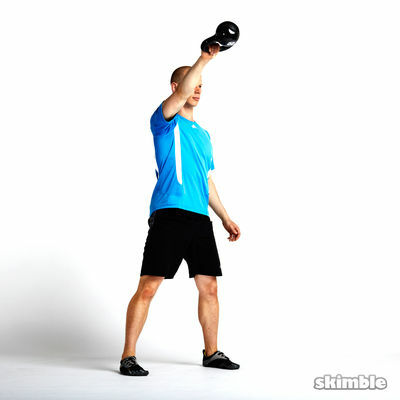 Start standing with your legs just wider than shoulder-width, holding a kettlebell in one hand. 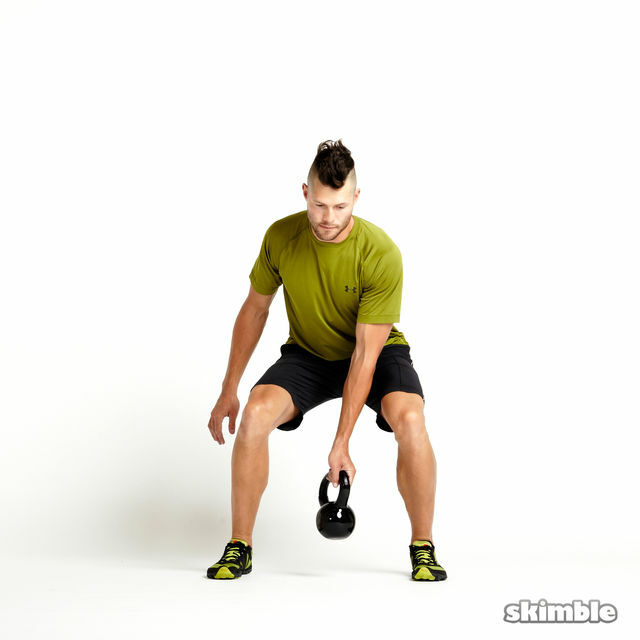 Bend your knees and pass the kettlebell to your other hand by moving it in between your legs. 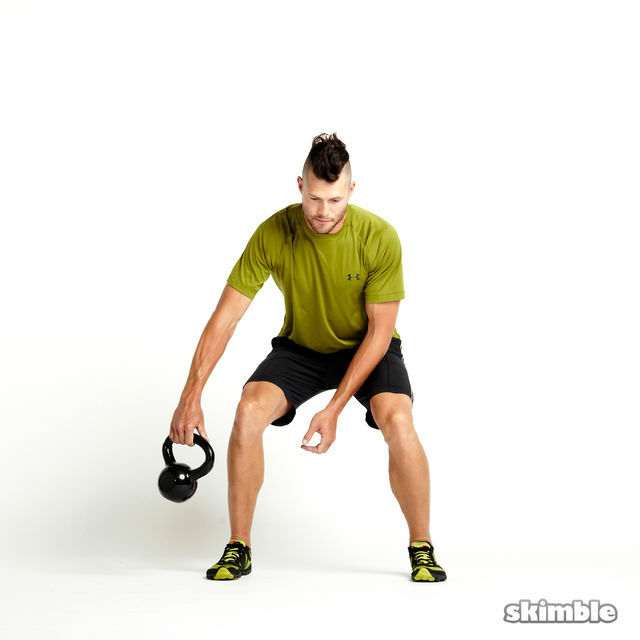  Envision drawing an 8 with the movement of the kettlebell.